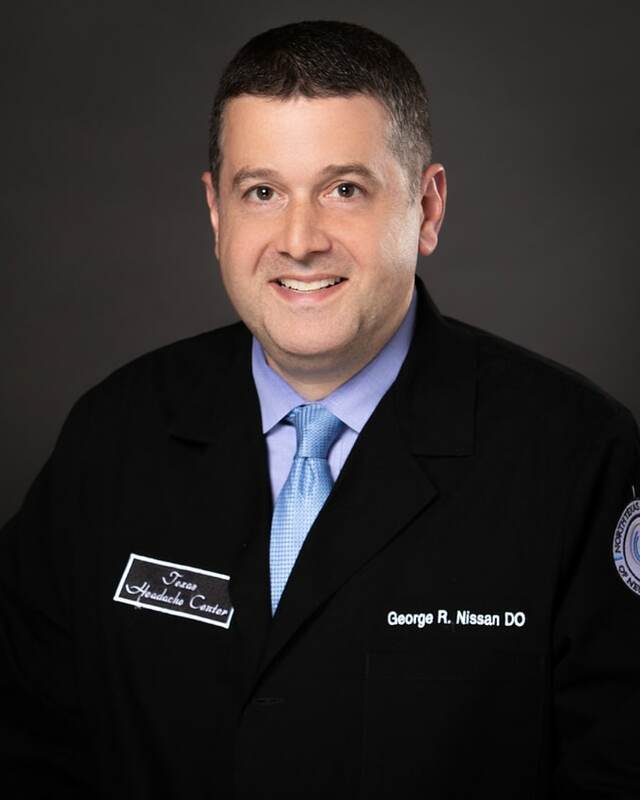 Dr. Nissan was born and raised in Chicago, Illinois. He graduated from the University of Texas at Austin with a B.A with high honors and was elected to Phi Beta Kappa in his senior year. He received his medical degree from Chicago College of Osteopathic Medicine in 1999. He completed a residency in internal medicine at Methodist Hospital of Dallas and was Chief Resident in his final year of residency training from 2001-2002. He received UCNS (spell this out) subspecialty certification in Headache Medicine in 2008. Dr. Nissan trained and worked in inpatient and outpatient management of chronic headache disorders at Diamond Headache Clinic in Chicago from 2003-2011. He was named a co-director of the clinic in 2006 and became the Director of Research in 2007. He moved to Dallas in 2011 and was a member of the attending physician staff at Baylor Comprehensive Headache Center. In addition to seeing headache patients from several states daily while at Baylor, he participated as a primary investigator for multiple national chronic migraine clinical trials and was an author of two headache medicine textbook chapters. He was elected as a fellow of the American Headache Society in 2015. Dr. Nissan joined NTINH in 2017 and has continued to practice with a philosophy of listening closely and taking a detailed patient history for each new and returning patient, with a goal of a unique individualized treatment approach for each patient.